I love dressing up for races almost as much as I like running them. 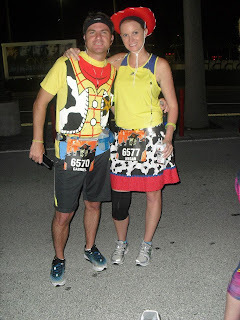 I believe this is what caused me to become obsessed with runDisney since so many people dress up at their races. Over the past year, I have dressed up for two events, the Tower of Terror 10 miler, where my loving boyfriend wore a 100% cotton shirt on a 10 mile run so he would match me. I couldn't be Jessie without him being Woodie. 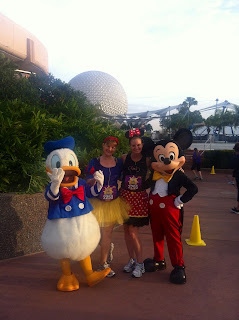 I also dressed up as Minnie Mouse for my first 5K, the Disney Princess Tangled. My friend Nicole was Snow White. 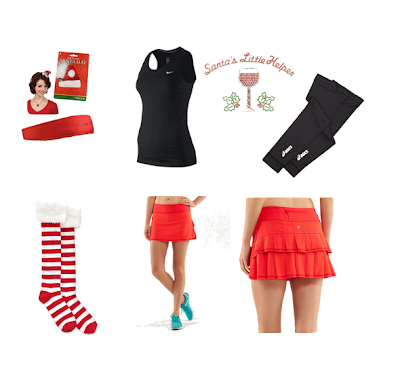 When I decided to run the Santa Hustle half marathon in Daytona Beach, I instantly started planning my outfit in my head. I know a running skirt will be involved. I just don't know which option. Help! Let me know which option you like best! 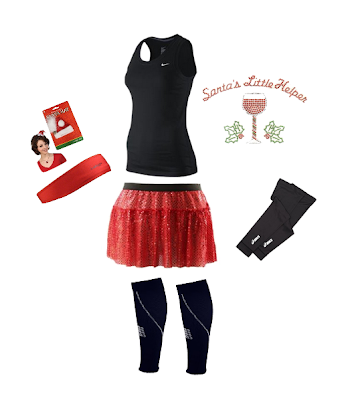 If you are in the Central Florida area, there are still 3 days left to enter the Santa Hustle 5K giveaway! Click here to enter. I am doing the Santa Hustle 5k in daytona. I've been thinking a lot about my outfit and I will definitely be rocking the striped socks with the fur (since I all ready own them). The rest is still up in the air. That's great Meghan! I am excited for this race. It is my first half, in the city I was born and raised in.